This is probably one of the parks less valued by the population and with little regard, its proximity to Barcelona with its many attractions, the park becomes more than one can hardly compete with some of the charms of the city. But this should not make us overlook the importance of the park natural and organic. Stresses the interest generated by waterfowl. Halfway between northern Europe and Africa Natural Park Delta del Llobregat, is a point where these birds make a stop along the way on their migration routes. Second largest delta in extension of Catalonia. Human presence in the park has been relatively common, we can find fields in the vicinity due to the favorable natural and climatic conditions of the park. The park has an area of approximately 98km square. The formation of the Delta has its origins 18,000 years ago, although the greatest change has occurred over the past 2300 years as a result of the stabilization of sea level from here began the real transformation of the park. The natural park of Llobregat Delta offers a varied landscape where wetlands found themselves with tins and wetlands. But on the other hand we also find coastal pine forests, crops, the beach, the river and the sea. The protected habitats can make us become aware of natural interest the park has, with a total of 20 habitats declared European Community and three special qualifications habitats of priority, are as follows. • The coastal lagoons with hydrophilic vegetation. The park benefited the large number of habitats that are, allowing the existence of a wide variety of plant species. It has a large variety of orchids that reach the 22 different species. Other highlights include plant species native to the conditions found in wetlands, and plant species that are more water. Similarly as with the plant species, we find a wide variety of species thanks to the different habitats found in the park. The most important natural species of the park are birds, as has been previously advanced, the natural location midway on the migratory path of birds that make the tour from northern Europe to Africa, supports their presence, with a total of 360 birds recognized. Get the name of Special Protection Area for birds (SPA) granted by the European community. The second group of animals with greater presence in the park are mammals with a total of 29 species. Of the most common mammal species are rabbits, house mice and Mediterranean, as well as several species of bats. The latter group would be formed by reptiles and amphibians with a total of 17 species. The most common are the green frog, water snake and Iberian water turtle. 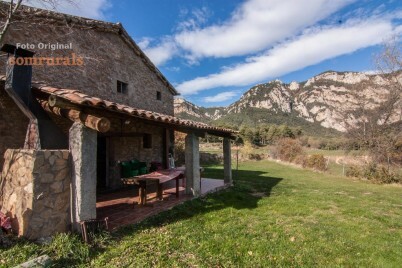 For rural tourism in the Natural Park of Delta del Llobregat and visit with tranquility and time, we suggest you visit our list of accommodations in the province of Catalonia where is the park, see our cottages in Barcelona. Old rural farmhouse with privileged views and surrounded by nature. Games room, heated pool and large garden with swimming pool. 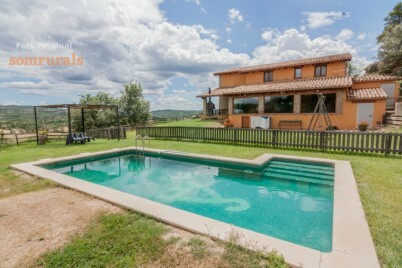 Cottage near Berga, ideal for small groups. Large garden with swimming pool, barbecue, pingpong and futbolin. 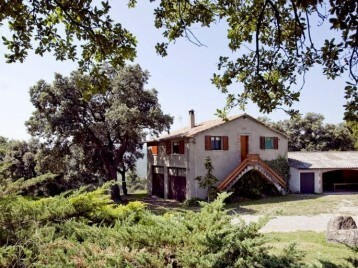 Rural house in the Berguedà for small groups. Game room, barbecue, large garden and living room with fireplace.